JC Penney recently changed its pricing strategy, aiming to eliminate their practice of what Ron Johnson (CEO) calls “fake prices”. I can only hope that chain opticals will someday take the same approach. For years, chain opticals have manipulated sales and discount vision plans to create an illusion of savings for consumers. The sales and vision discounts are generally just reductions from regular prices that are set artificially high to begin with. It’s a common marketing ploy to make people believe they are getting a bargain. So how do you get the best eyeglasses? Your doctor is your best resource for recommending which brand and type of lens is best based on your individual vision needs, past history, and current prescription. I recommend Zeiss lenses most often for their commitment to having the best ophthalmic lenses. Frames truly represent our personality and run the gamut of utilitarian to high fashion. An optician can help you make sure the frame you like is compatible with the lenses you require. Consider the quality of the eyeglasses, the expertise of the staff, and the warranty before your purchase. According to the National Eye Institute, sports related eye injuries are the leading cause of blindness in children. It is estimated that 90% of sports related eye injuries can be prevented with special protective eyewear; ordinary eyeglasses, sunglasses, and contact lenses do not qualify as protective eyewear. A permanent anti-fog coating for eyeglasses may be available in the future. 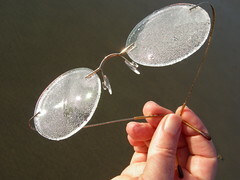 Those who excercise, live in cool climates, and wear eyeglasses encounter foggy lenses from time to time. This happens when moisture builds up on the cooler surface of your lenses. Once the lenses warm up to the surrounding temperature the mositure re-evaporates and your lenses are again clear. Anti-fog coatings have been around for a while, but they all fade over time and wash off with water. Researchers at Laval University in Quebec City have developed a coating that can be applied to lenses that allows moisture to spread more evenly across the surface of a lens eliminating fog. The coating is clear and and permanent even after washing. Interested in learning more about the latest in glasses? Schedule an appointment today with an optometrist at Gray Family Vision. Consider polarized prescription sunglasses for safer driving. 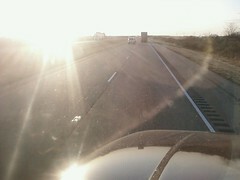 Polarized sunglasses eliminate glare off roads and other surfaces such as the hood of the car to make driving safer. Interested in a designer pair? We have some great sunglass lines including: Maui Jim, Oakley, and Ray Ban. 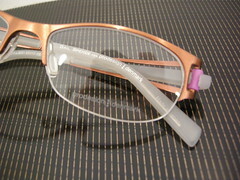 We are making way for new inventory and are offering 30% OFF all Prodesign and Bellagio eyeglass frames. Clean Danish frame designs with bold colors. All sale priced frames come with a 2 year warranty from the date of your purchase! Need an appoitment before getting new glasses? Shedule an appointment at Gray Family Vision today.